INDIANAPOLIS & MOUNTAIN VIEW, Calif. & BOSTON–(BUSINESS WIRE)– Anthem, Inc., Samsung Electronics America, Inc., and American Well® announced today that consumers with an Anthem affiliated health plan and the updated Samsung Health app on their Samsung Galaxy device can now access LiveHealth Online within Samsung Health. 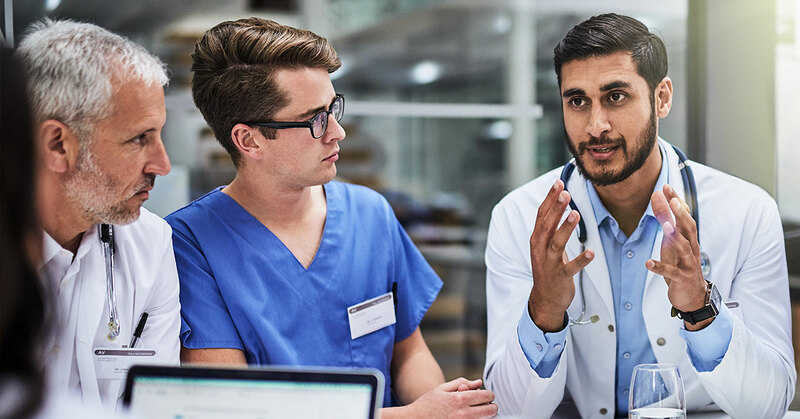 The “Experts” service in Samsung Health connects consumers with U.S. based, board-certified health care providers for a wide variety of non-emergency medical care 24 hours a day, seven days a week. LiveHealth Online, which is powered by American Well’s technology, gives consumers the ability to “Ask an Expert,” and consult a care provider through video chat. These board-certified health care providers can address non-emergency medical needs such as colds, coughs, flu and allergies. During the visit, the care provider can provide a diagnosis, and submit a prescription. Through the Samsung Health service, consumers can even consult with health experts in a number of different subspecialties, including nutrition and dermatology. With this latest update consumers will also have access to additional services offered exclusively on the Samsung Health app—like fitness training, maternity advice, sleep tracking, and other health-related offerings. Consumers can access LiveHealth Online by opening the Samsung Health service on their Galaxy device, and selecting the “Experts” tab to connect with a care provider. They will be asked to enroll in Samsung Health’s “Ask An Expert” feature with their Samsung account and then prompted to select their health plan to view coverage for the services they receive, if applicable. LiveHealth Online is the trade name of Health Management Corporation, a subsidiary of Anthem, Inc.
Headquartered in Ridgefield Park, N.J., Samsung Electronics America, Inc. (SEA) is a recognized innovative leader in consumer electronics, mobile devices and enterprise solutions. A wholly owned subsidiary of Samsung Electronics Co., Ltd., SEA is pushing beyond the limits of today’s technology and providing consumers and organizations with a portfolio of groundbreaking products in appliances, home entertainment, Internet of Things, mobile computing, smartphones, virtual reality, wireless infrastructure and wearables, in addition to offering leading content and services related to mobile payments, 360-degree VR video, customer support and more. Samsung is a pioneering leader in smartphones and HDTVs in the U.S. and one of America’s fastest growing home appliance brands. To discover more about Samsung, please visit www.samsung.com/us/. For the latest Samsung news, please visit news.samsung.com/us and follow us @SamsungNewsUS. American Well is the leading telehealth platform in the United States, connecting the nation’s largest hospitals, insurers, employers, and consumer technology companies for the purpose of delivering healthcare anywhere. Highly-rated by KLAS for “ease of use” in the 2017 Telehealth Virtual Care Platforms report,* American Well is transforming healthcare by creating a first-of-its kind telehealth marketplace, the Exchange™, to deliver medical care seamlessly through technology. With its strong partnerships in the U.S. and global markets, as well as its direct-to-consumer service Amwell®, the company connects millions of people to the doctors they trust for live video visits for everything from urgent care to chronic care management and lifestyle support. American Well’s software platform has the built-in capability for hospitals and healthcare providers to deliver care digitally, reaching beyond geography, with wrap around turn-key services and customization to extend care beyond the four walls of a hospital and into the hands of consumers. With a decade of experience, American Well powers telehealth solutions for over 75 health systems, 140 unique telehealth use cases and 55 health plan partners covering 147 million lives, helping 1 in 3 Americans get the care they need, when and where they need it most. For more information, please visit AmericanWell.com.